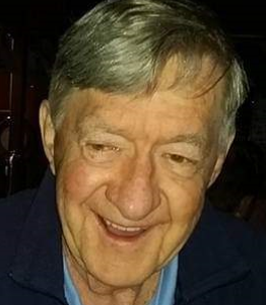 Albert D. Nowak, age 82, formerly of Toledo, OH passed away peacefully on October 5, 2018 at home in Clearwater, FL. He was born in Toledo, OH on August 18, 1936, to Albert and Wanda Eleanor (Minge) Nowak. He graduated from Central Catholic High School in 1954. Al retired as a service technician from the NCR Corporation in 1993 after 33 years of service. His love of adventure and willingness to try something new kept him active during retirement. He maintained many long time friendships and continued to meet his NCR buddies regularly for breakfast and, kept active with his weekly bowling league buddies. His positive attitude and outlook never wavered. Al enjoyed spending time with his grandchildren and great-grandchildren who kept him young at heart. He is survived by his wife of 44 years, Helen (Langendorfer) Nowak; children, Michael Nowak of Texas, Susan (Mike) Wilhoit of North Carolina, Tony (Kelly) Langendorfer of Florida, Joy Youster of Florida; grandchildren, Olivia Nowak, Zak (Marcie) Langendorfer, Mandy (Eric) Neumann and four great-grandchildren. He is survived by sister, Arlene Sieja of California, and several nieces and nephews. Al was preceded in death by his parents; sister, Geraldine David; grandson, Ryan Langendorfer; and great-grandson, Denten Langendorfer. The family will host friends and family on Sunday, December 30, 2018 from 1-3 p.m. with a Celebration of Albert's life at 2 p.m. at the Bersticker-Scott Funeral Home, 3453 Heatherdowns Blvd. at Byrne Rd. Please view and sign Mr. Nowak's condolence page at www.berstickerscottfuneralhome.com. To send flowers to the family of Albert D. Nowak, please visit our Heartfelt Sympathies Store.